Empathy is quite a complicated psychological process when one gets down to describing it theoretically. I suppose this is to be expected as it is considered one of the more higher forms of communication compared to the more basic and primitive processes such as simply communicating feelings to another. Rogers states that empathy is not just the cognitive understanding of the clients experience, but actually experiencing it without getting lost in it. He says to sense the clients confusion, timidity or anger as if it were the therapists own but without getting lost in it. That is without it becoming to big in the therapist or negatively impacting on their ability to function. The therapist can then communicate that understanding to the client. (Rogers(1962), The interpersonal relationship: The core of guidance. In Rogers and Stevens (eds.) Person to Person). It must be very frightening to be so uncertain about your job security. I think I see what you are saying. In some ways you like coming here and talking to me, but youre not sure its really doing very much for you. My goodness, you really love her, dont you? This process described however rests on magical thinking and thus is a flawed process or at least a flawed description of the process. Lets examine the process of empathy from an ego states perspective. 1. Therapist is aware and comprehends their observations of the client. The Adult ego state of the therapist observers the clients behaviour and verbal reports of what they are experiencing. 2. Therapist has their feeling reactions to the awareness and comprehension of the client. 3. Therapists Parent ego state keeps the Free Child reaction in check such that it does not get too large or debilitating to the therapist and that the gaol remains the welfare of the client rather than the therapists own Free Child needs. 4. 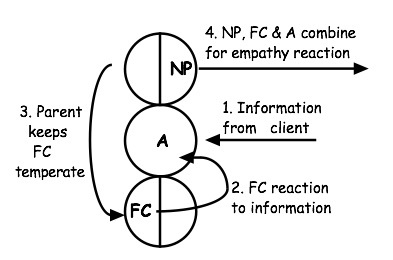 NP caring combines with FC feeling reactions and Adult ego state understanding to have an empathetic response to the client. As you can see quite a complex psychological process. It should be noted that one can not experience what the client is experiencing, one can only have a feeling reaction to it. This feeling allows the therapists experience to be what he perceives is a copy of the clients experience but this is only ever a guess as one cannot experience what another person is experiencing. Ironically in this way empathy is quite self centred and narcissistic process. It is about me and my understanding of the experience of the client. It only becomes about the other in the last stage of the process with the NP involvement. 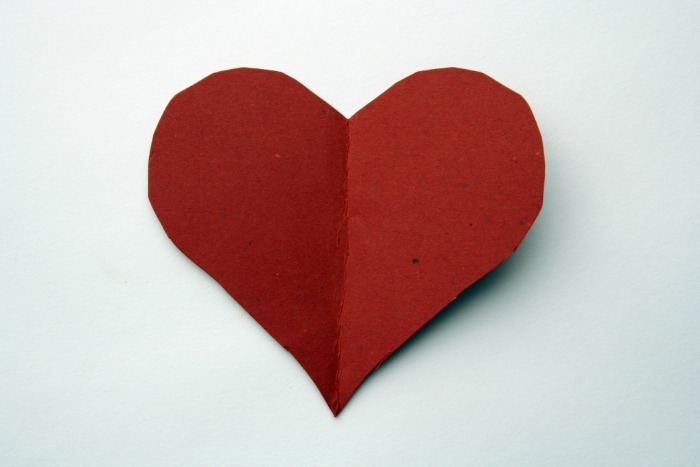 The therapists personal experience of the client is then used in a caring way to the benefit of the client. Transactional Analysis Journal – free access in August!